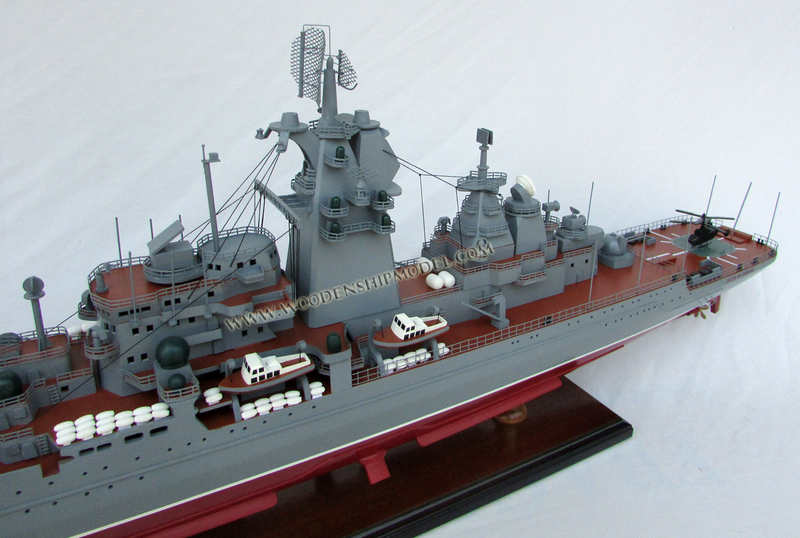 This battle ship model is all hand-crafted from wood with planks on frame construction and painted as the real ship. There are no plastic and this model is ready for display. Model comes with a brass nameplate on the base. 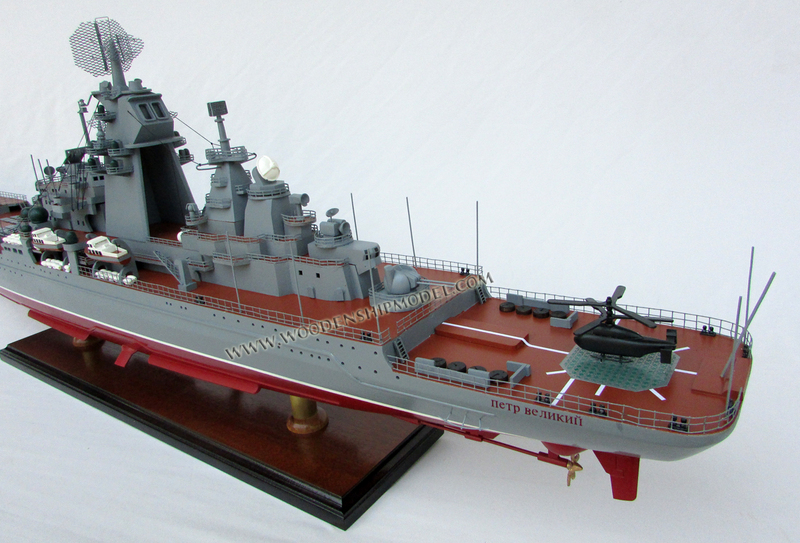 Pyotr Velikiy (Russian: Пётр Великий) is the fourth Kirov-class battlecruiser of the Russian Navy. 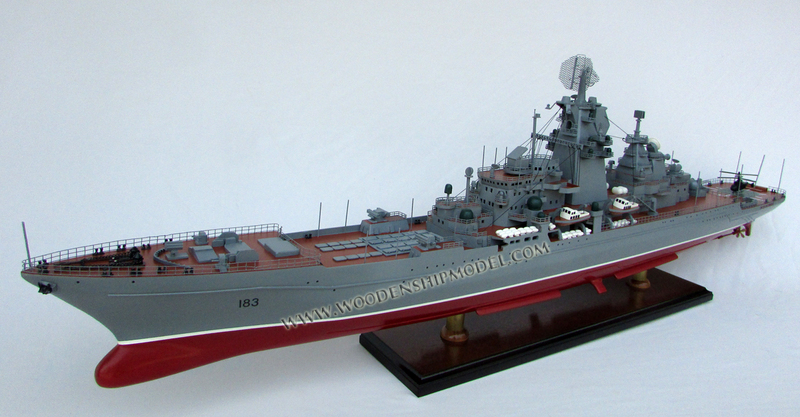 Initially named Yuri Andropov (Russian: Юрий Андропов) for Yuri Andropov, the former General Secretary of the Communist Party, the ship's name was changed after the fall of the Soviet Union. 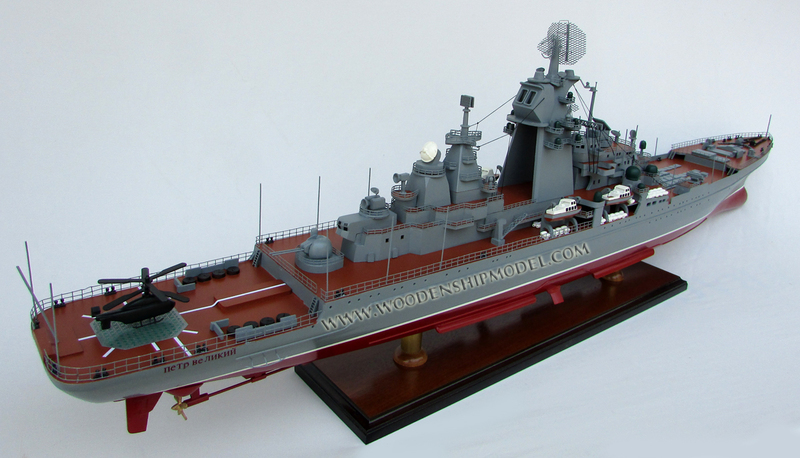 The Russian designation for the type is "heavy missile cruiser", but Western defense commentators re-invented the term "battlecruiser" to describe these as they are the largest surface combatant warships in the world. 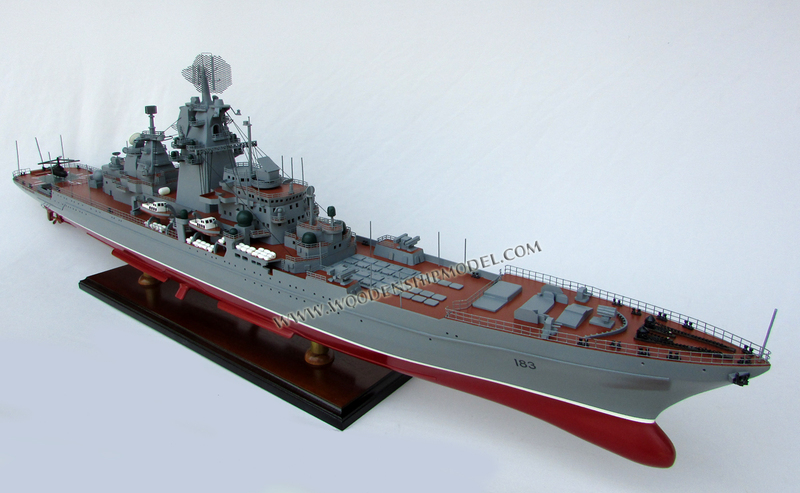 Pyotr Velikiy is the flagship of the Northern Fleet. 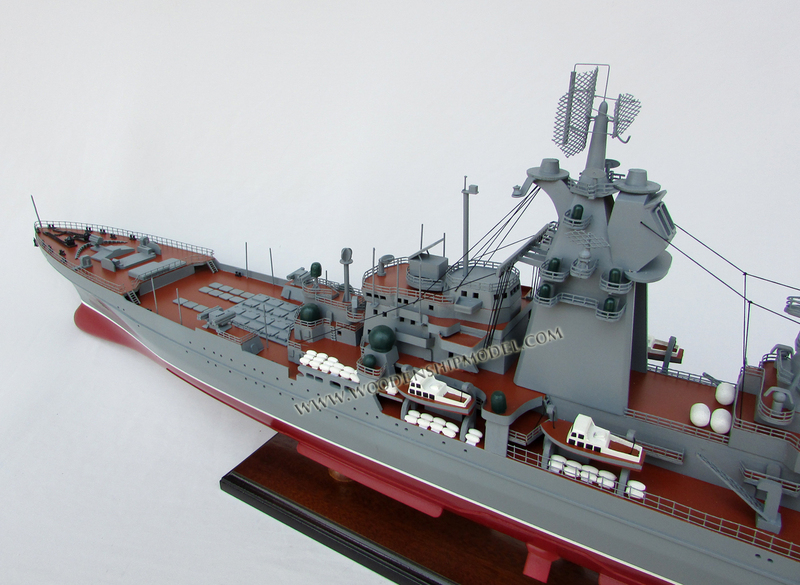 Construction of the ship was heavily affected by the economic problems before and after the fall of the Soviet Union and it was not commissioned until 1998, twelve years after work had started. 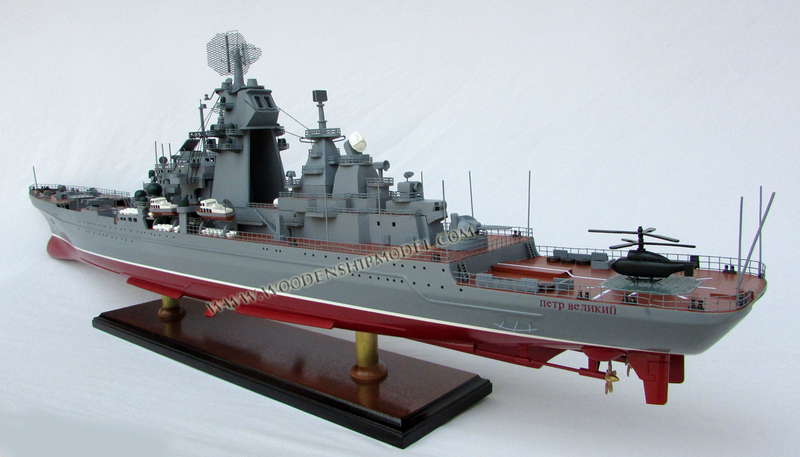 By then it had been renamed Pyotr Velikiy, Russian for Peter the Great. 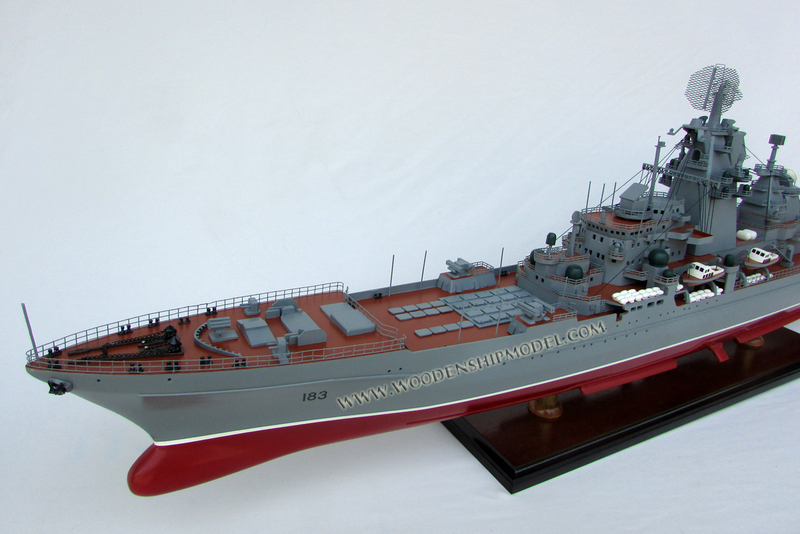 Pyotr Velikiy has been known to carry two pennant numbers during its service; "183" and currently "099".